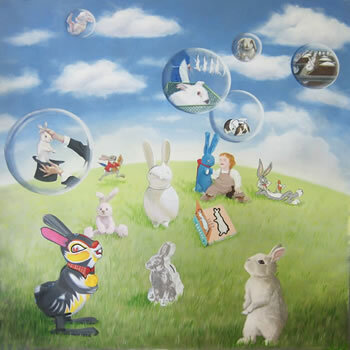 My paintings are a direct result of both my fascination and concern for animals. 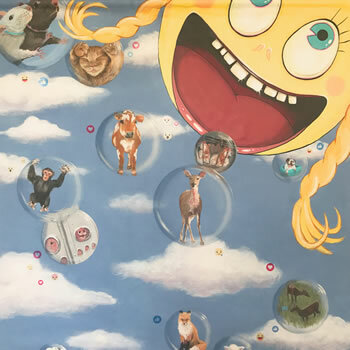 Here’s my take on today’s human-animal bond. 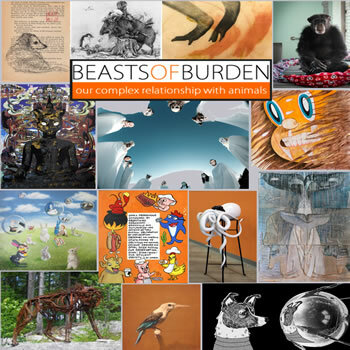 My love of art and animals has led to many projects that include the BEASTSOFBURDEN artists. New MP3 "Vegan Paradise" features my artwork. I was honored to emcee the screening of The Last Pig at the Kendall Square Cinema in Boston. I was happy to present my artwork and story for the series You Art What You Eat at the Boston Veg Food. Listen to Jane talk with Michael Harren.